Ever wondered what the inside of your door looks like? We caught a snap of exactly what it looks like with the panels off. This week we had a Ford Mustang in the shop that needed its door lock actuators replaced. 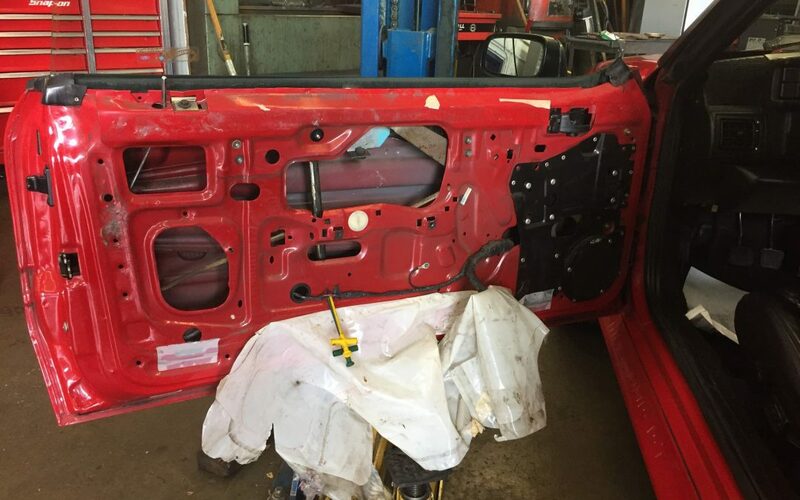 We had to take the interior panels off in order to access and replace the actuator to get the door locks working correctly. The inside of a car door is a pretty small and tight home to multiple devices like actuators for door locks, window motors & regulators, the window itself, switches and latches. Accessing the inside of the door and components within can be tricky, so it’s important to know what you’re doing. Good thing we have expert technicians, like Amanda, at Tom’s.